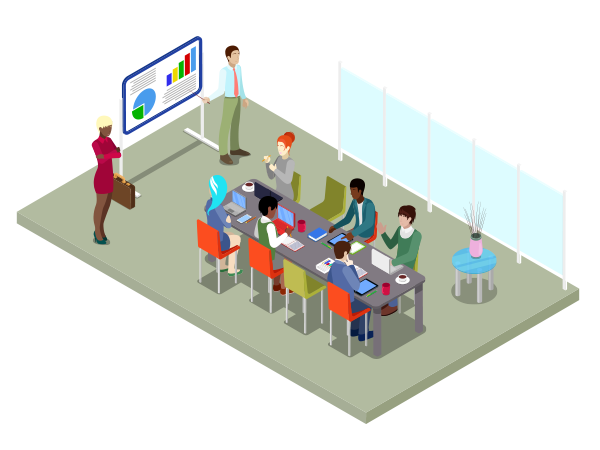 Are your meeting rooms working for you? How many times have you tried and failed to book a meeting room, only to walk past and discover the booked meeting was a no-show? Or even worse, how frequently do you see large conference rooms being used by just a handful of people? True Occupancy data can help eliminate these problems and ensure you have the optimal configuration to meet your business needs. Are they the right size and do you have enough or too many? Ceiling mounted IoT sensors count people in and out of your meeting rooms and report True Occupancy data to an AI cloud platform for analysis, reporting and integration with 3rd party systems. Ensure meeting rooms are available when needed and reduce the time employees waste looking for available rooms.